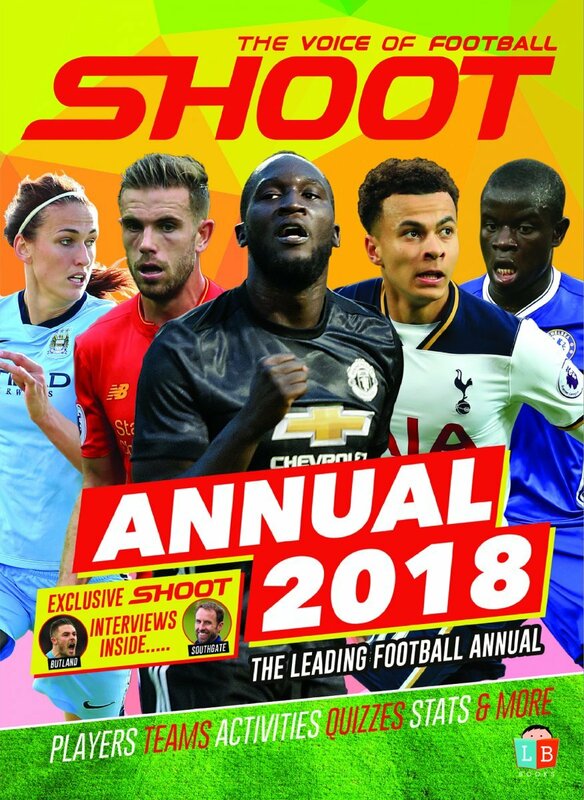 Here at SHOOT we endeavour to keep a watchful eye over the emerging talents in world football and keep you in the know in terms of who you should be watching out for in the years to come. 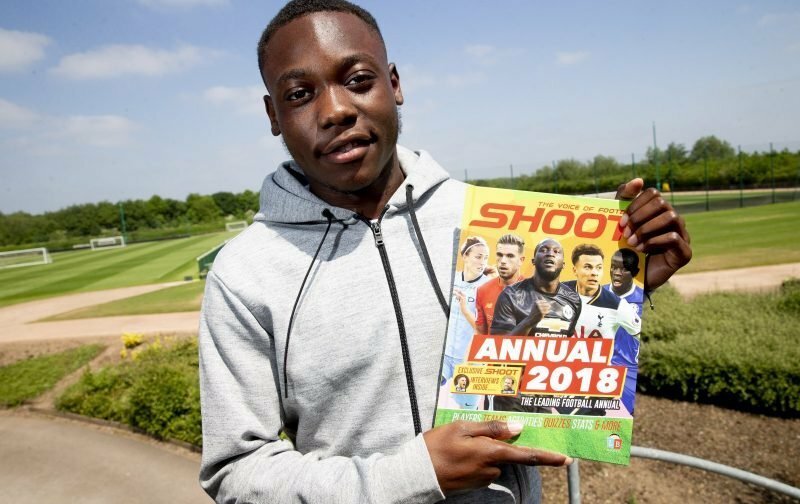 Following last month’s edition on Manchester City starlet Joel Latibeaudiere, this time we take a close look at another highly rated teenager in Aston Villa’s Rushian Hepburn-Murphy. Having already spent over a decade within The Villans’ youth ranks, Hepburn-Murphy is the club’s most exciting prospect for the future. The 19-year-old made his Premier League debut aged just 16 and has been prolific within Villa’s development squads ever since. After racking up five first-team appearances for the Championship club last season, the rapid and tricky centre forward is eyeing a star senior role in 2018-19 as Villa eye a return to the Promised Land. 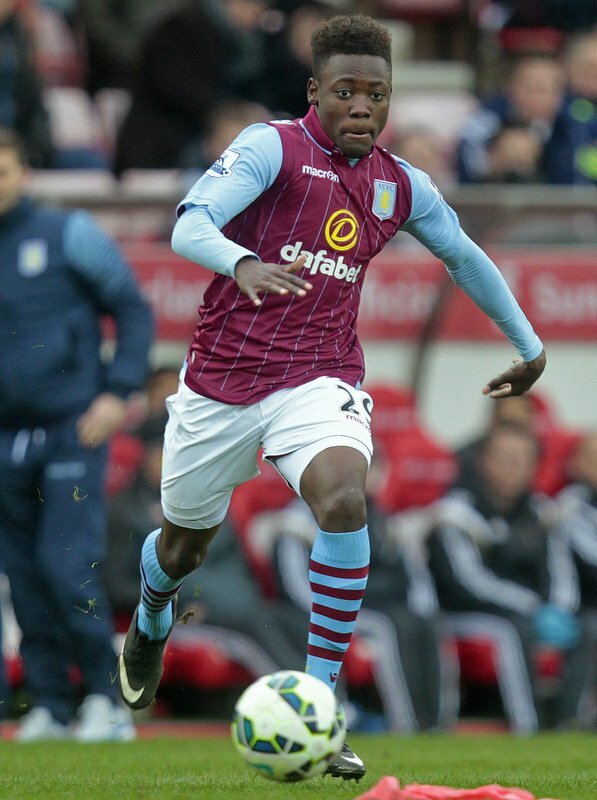 Aston Villa’s Rushian Hepburn Murphy in action against Sunderland in 2015. Despite speculation stirring about the managerial situation at Villa Park, England Under-20 international Hepburn-Murphy is poised to stay with the Midlands club, and he is determined to show whoever is in charge that he can help fire Villa back into the Premier League. 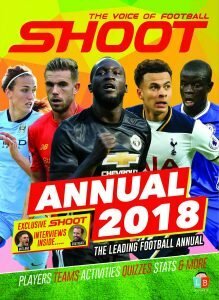 He exclusively told SHOOT, “I would like to be playing first-team football somewhere, whether it is with Aston Villa, or whether it is going out on loan to get more experience. “I have got to work hard, focus on my weaknesses a bit more and become more reliable, so that the first-team players all trust me. Hepburn-Murphy joined the club when he was just seven-years-old, and although he has always been held in high regard by Villa, unfortunately a series of injuries has hindered his promising path into the first-team. But he did make his senior bow against Sunderland in the Premier League back in March 2015 – becoming the second youngest player ever to feature for Aston Villa, aged 16 years and 176 days. “I remember it was 4-0 [to Villa] before I came on the pitch and that took a lot of pressure off my shoulders,” explained Hepburn-Murphy. “Obviously the players supported me as well as I came onto the pitch, they said relax and enjoy it. “We were 4-0 up so it was a good experience for me, and the gaffer [Tim Sherwood] before I came onto the pitch told me to relax and enjoy it. 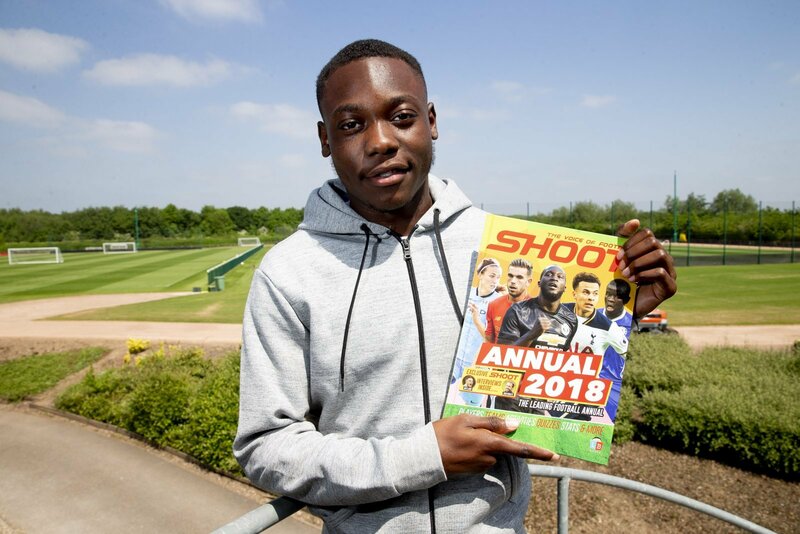 Hepburn-Murphy holding the 2018 SHOOT Annual. “I didn’t see it coming [debut]. I was just warming up and then one of the players came down and told me to get ready as I were coming on. Arsenal legend Thierry Henry has been linked with becoming Villa’s new manager ahead of the 2018-19 season, someone who Hepburn-Murphy idolised when growing up, but the forward was quick to pile the praise on current boss Steve Bruce. “It is great working with him to be honest, he has always got a smile on his face,” he added. “He is always making jokes on the training field. But when it is time to be serious, he is serious. “He gets us nailed down and gets his tactics right and obviously he is very experienced in the Championship with getting teams up to the Premier League. A Villa supporter through and through, many fans are looking forward to seeing what Hepburn-Murphy has to offer in 2018-19. SHOOT asked the youngster, other than his rapid pace, what should Villa fans expect from him? “My creativity in the final third,” he said, “You have got to be creative in the right areas. “The managers and coaches can’t really get mad at you for trying new things and in the final third it is the right area to do it. With financial troubles also suspected at Villa this summer following their play-off final defeat to Fulham back in May, and with the club braced to lose some of their star players this transfer window, whoever manages the side heading into the new season will quickly realise they have a talented teenager on their hands in Hepburn-Murphy, who is chomping at the bit to score his first-ever professional career goal.